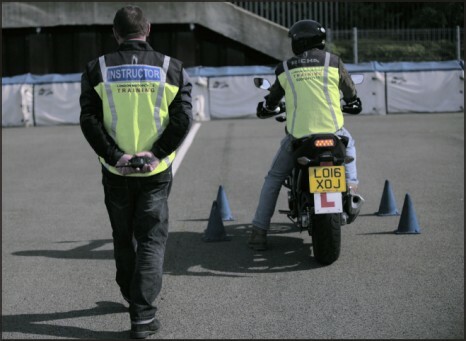 London Motorcycle Training provide Full Motorbike Training from our Central London locations. We have a big fleet of new Honda NC750 motorcycles which, we being motorcycle dealers, always maintain to the highest standard and replace on a regular basis. Our Training school is also a member of the Motorcycle Industry Trainers Association. That means we are committed to a standard of good practice set by our professional Association. London Motorcycle Training do bike training differently. 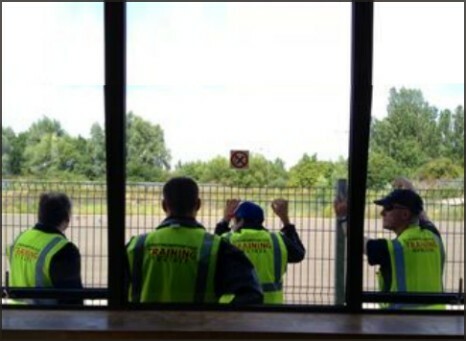 Instead of selling you a training course that includes everything from CBT to Mod 2 and charging you a large sum of money in advance, we do things in a different way. A fast track course will suit some people if everything goes without a hitch. It does not however, allow for failing any of the tests, or something coming up in your life. We have found a lot of people had problems getting money back from training schools when their circumstances have changed in any way. We work on a PAY AS YOU GO BASIS, which means that a student always knows exactly where they are. Our pricing is very straightforward and transparent. Alternatively, if you prefer to spread the cost of your Motorcycle license over a longer period of time, we offer a flexible and affordable Finance option. Please, contact us for more details. Click here to apply for Motorcycle training finance. This is how we do our training... All prices quoted are inclusive of VAT, bike hire, insurance, petrol, helmet and gloves hire. Book a Compulsory Basic Training (CBT) course as soon as possible. It will cost you between £99 and £129. We have good availability. It will take you all day. You need to either hold a UK driving license (provisional is fine) or a EU driving license that has been registered with DVLA(Form D9). If you have an old style paper driving license you would need a photo ID with it. You need to be able to ride a bicycle and have a basic understanding of the Highway Code before you start. Many people without prior motorcycle experience find it easier to do their CBT training on an automatic scooter. 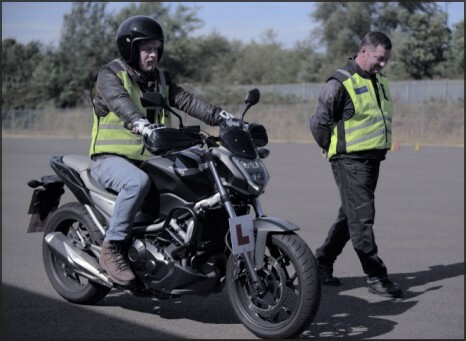 If your intention is to get a licence on a geared bike, we offer free of charge Gear Conversion Lessons for those who have completed their CBT training. Taking a CBT on an automatic 50cc still allows you to ride a geared 125cc if you are 17 or older. Click here to Book your CBT course online! 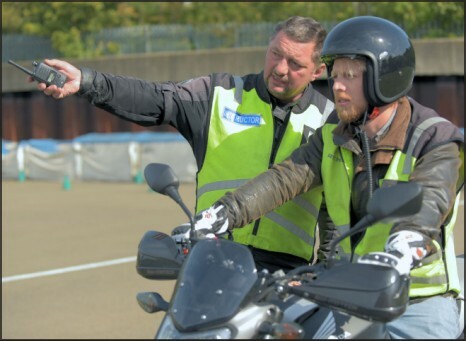 Book a Motorcycle Theory test at your closest DVSA centre at www.gov.uk/book-theory-test. Search on Google for motorcycle theory practice. There are several sites offering free practice. This is plenty to get you through. The closest centre to central London is near London Bridge. - 'A1' Light Motorcycle Licence. Unless you plan to continue towards a Full Motorcycle License in the future, we recommend you do the training and the Practical tests on an automatic 125cc scooter. You will be restricted to a 125cc scooter but will be able to carry passengers, use motorways and remove your L plates. There is a minimum age of 17. A1 License will allow you, after holding it for 2 years, to take the A2 License at 19 by passing the Practical tests only. - 'A2' Restricted Licence. This test has to be taken on a motorcycle of minimum 395cc and the minimum age is 19. Once you have passed the A2 licence you can ride any machine of any cc but it must produce no more than 35 kW or 47bhp. You can carry passengers and ride on motorways. A2 License will allow you, after holding it for 2 years, to take the Full Unrestricted License at 21 by passing the Practical tests only. - Full Unrestricted Category 'A' Licence (Direct Access). If you are 24 or over you can do the test on a 600cc geared motorcycle. Having passed this, you will be licensed to ride any motorcycle straight away, ride on motorways and carry a passenger. You will need to do both Modules on this bike. Click here to book a DAS Training day online! At the end of the 2 days training you will have become familiar and probably friendly with your instructor. You will discuss with him if you are ready for your Practical test and whether you need more training. This is the point where you book your Module 1 test. Practical tests - Module 1 and Module 2. We can arrange and book those with DVSA for you. Taking Module 1 test - the DVSA test charge is £15. This is the "off road" element of the test that has the swerve and emergency stop. On the small bikes you can take yourself to the test centre. If you need to hire a bike for this, that can be arranged. If you are going on a large bike you will need to be taken by an instructor. This can take half a day and will cost £125. After passing Module 1 you will need to decide if you are going to book your Module 2 test or book a day’s training before doing the Module 2. Again, this is something you will want to discuss with your instructor. Taking Module 2 test - the DVSA test charge is £75. This is the old fashioned bike test - out on the road with an examiner following you for around forty minutes, telling you where to go via an intercom. 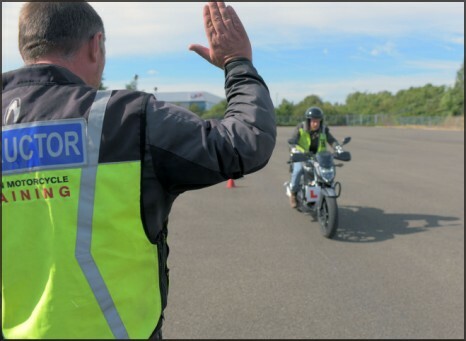 As with our Module 1, you can go to the test centre yourself on a small bike, but if you are doing the test on a big bike you will need an instructor to take you. Again this will be £125 for half a day. We have tried very hard to simplify the road to getting a bike licence here. 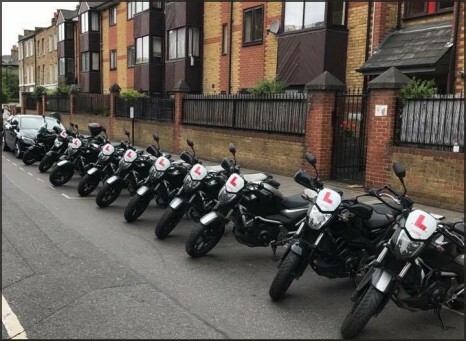 If there is anything that is unclear please call Ross or Karen on 020 7241 6363, or e-mail us on NoReply@londonmotorcycletraining.co.uk and we would be happy to answer any questions you might have and make the bookings for you.